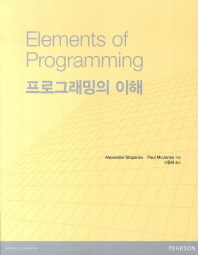 In addition to the English, Japanese, Russian, and Chinese editions, Elements of Programming is now available in a Korean edition published by Pearson Education Korea and available from Kyobo Book Centre. Five editions, five scripts. P.S. I can’t find a listing for the book at www.pearson.co.kr; I will update this post and our book website if I hear of one.